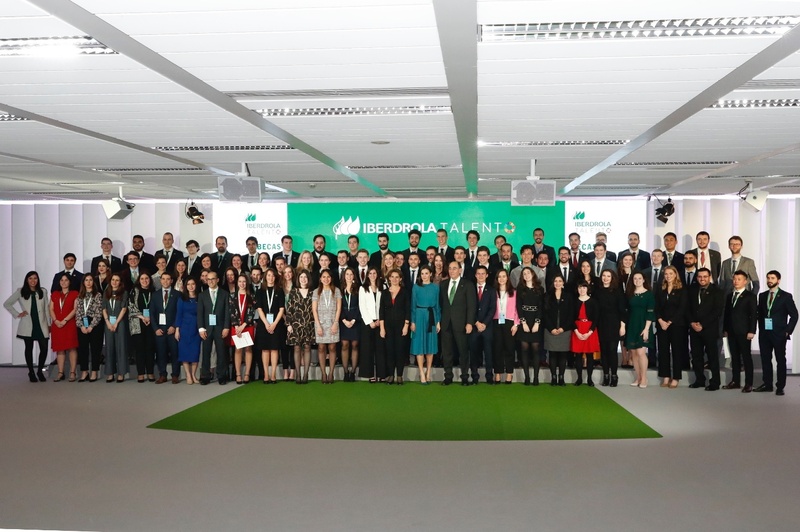 Queen Letizia of Spain was at Iberdrola Building in Madrid to present the grants for Master’s and Research Aid of the Fundación Iberdrola 2018, which encourage the training of young professionals of high level in the field of energy, dedicated especially to the development of renewable, the improvement of biodiversity and the efficiency of the energy system , so that they can contribute to the change of the energetic model, as well as to the conservation of the artistic heritage. 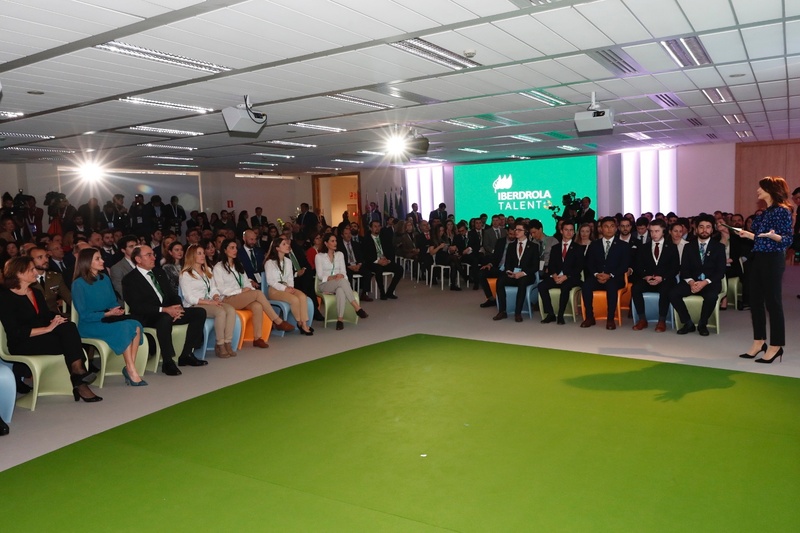 Upon her arrival at the headquarters of Iberdrola, Queen was received by the Minister for the Ecological Transition and the Director of Iberdrola. 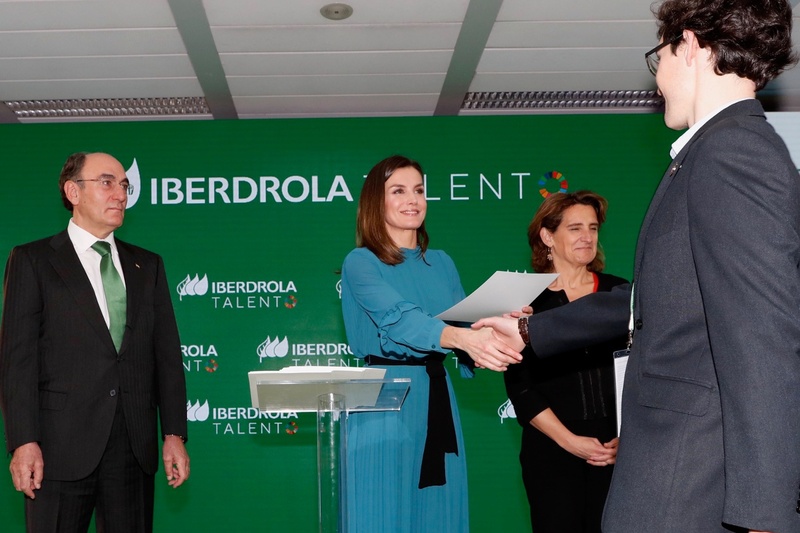 Then Letizia met with the ambassadors in Spain of the United Kingdom of Great Britain and Northern Ireland, the State of Qatar, the Federative Republic of Brazil and the members of the board of directors, the works committee, the Board of Trustees of the Iberdrola Foundation and the steering committee of Iberdrola. 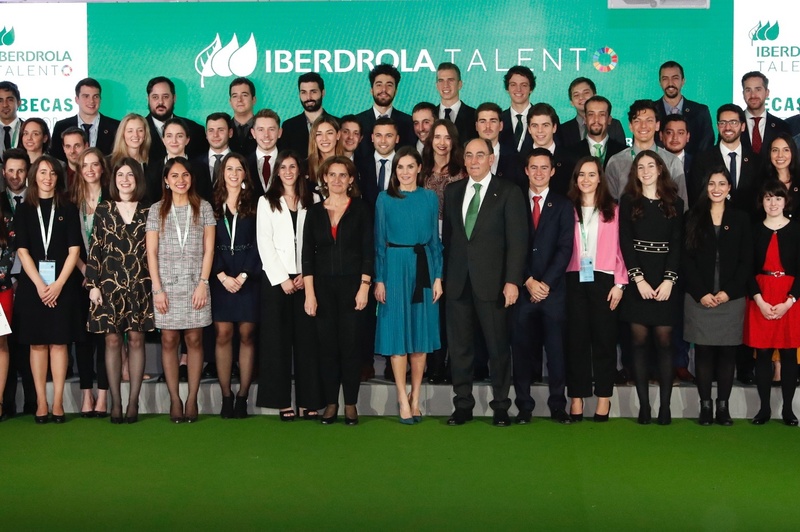 The event began with the screening of an explanatory video of Iberdrola’s actions to promote young talent and their employability in the workplace and a conversation between Martina Cebollero and Alonso Soberón, Scholars of last edition , who told their experiences after receiving the scholarship. 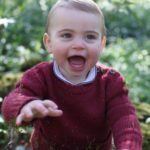 Queen presented the scholarships to this year’s winners. 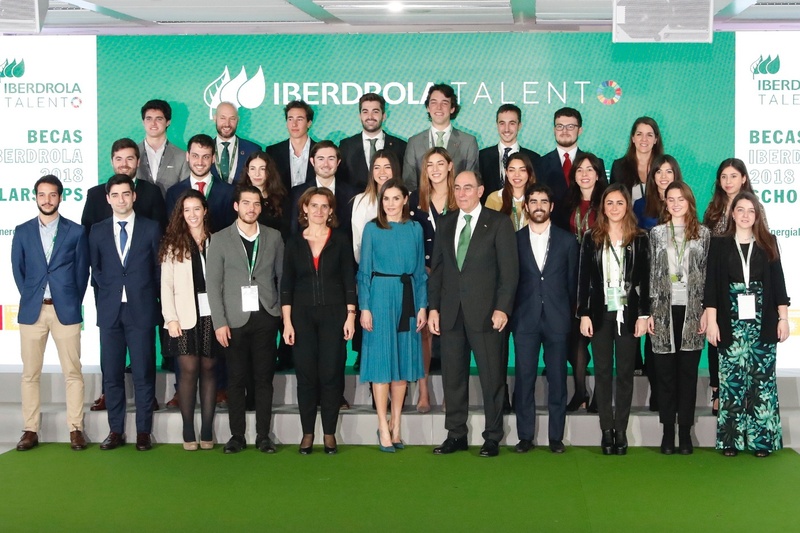 Iberdrola has allocated close to 3 million euros to its program of scholarships and grants and 77 young people from ten countries: Spain, the United Kingdom, the United States, Mexico, Brazil, Italy , Hungary, Holland, Germany and Czech Republic are the receivers of this years scholarships. 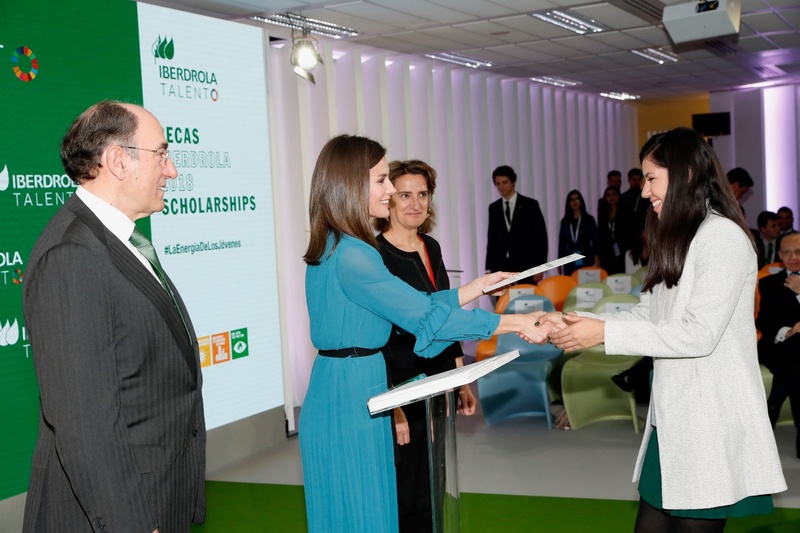 Queen Letizia with the scholarship winners. 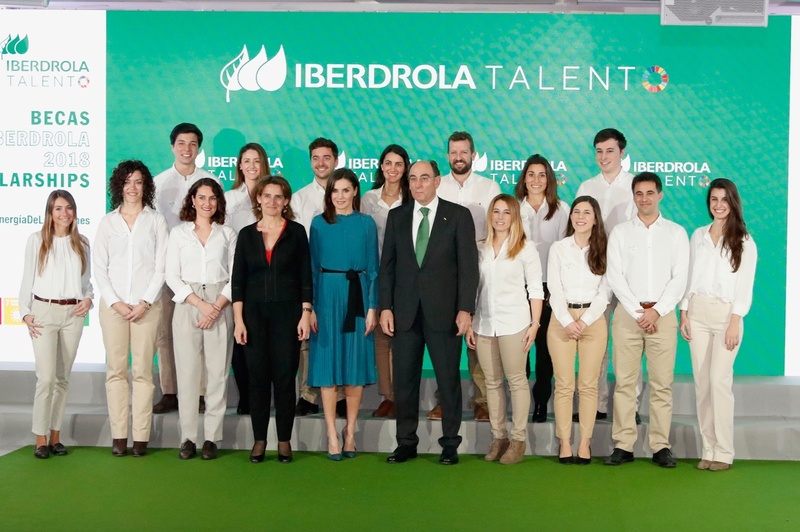 With its support for education, research and knowledge, Iberdrola continues to make progress in fulfilling the Sustainable Development Goals (SDG) of the UN 2030 Agenda. The group focuses its activity on the supply of affordable and clean energy and on climate action, although it directly contributes to achieving quality education, ensuring clean water and sanitation, has increased its investment in R & D & I activities, promotes respect for the life of terrestrial ecosystems and works to establish alliances to achieve the objectives. 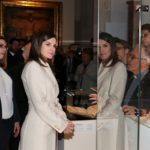 Before leaving Letizia met with the volunteers of the foundation. 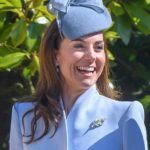 For the annual event, Queen Letizia of Spain chose a very chic and elegant attire from Spanish label Zara. She was wearing a cobalt pleated jumpsuit dress from label’s 2018 collection. 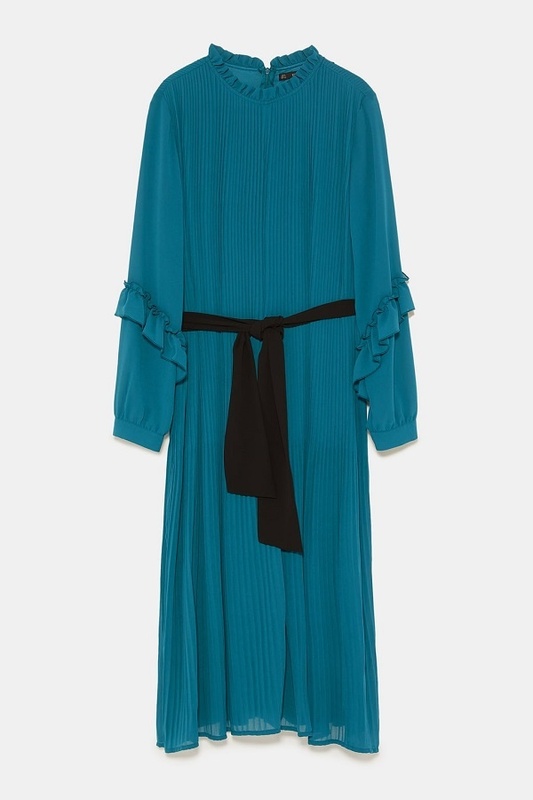 Jumpsuit dress with round ruffle collar features long sleeves with ruffle appliqués on the elbows, contrasting fabric black belt and back zip closure. 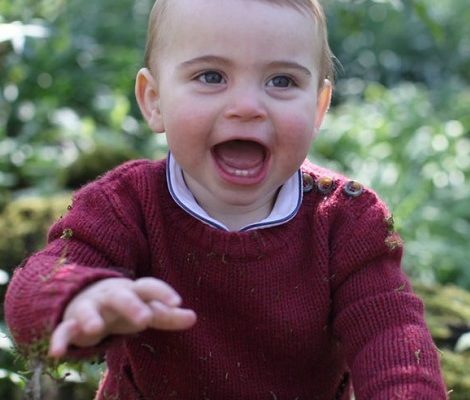 The dress originally retailed for $69.99 before going on sale for $19.99. It is not available any more. 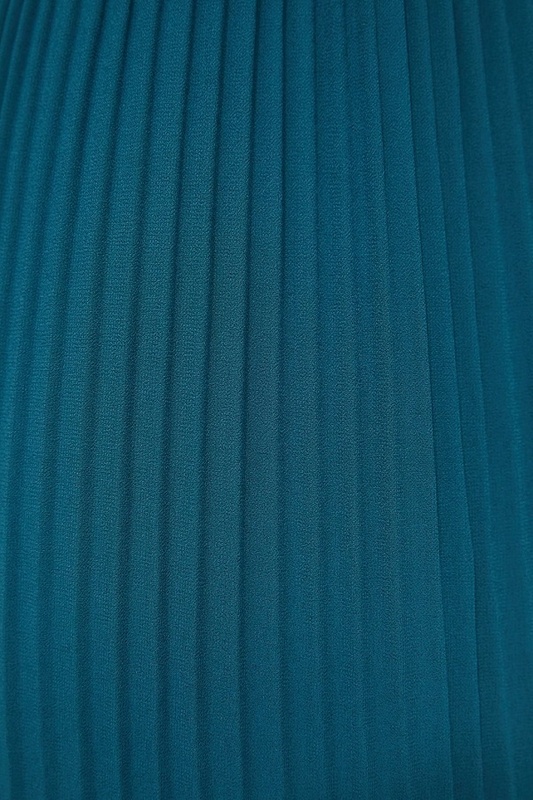 A closer look at the dress fabric. 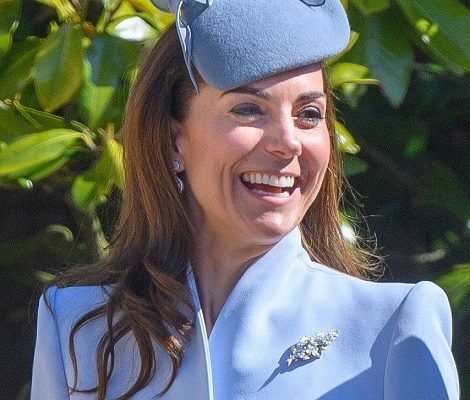 Letizia paired the outfit with matching azure tone pointed toe Leather- Suede pumps from her another trusty Spanish label Magrit. She was carrying a contrast black Lidia Faro Clutch. 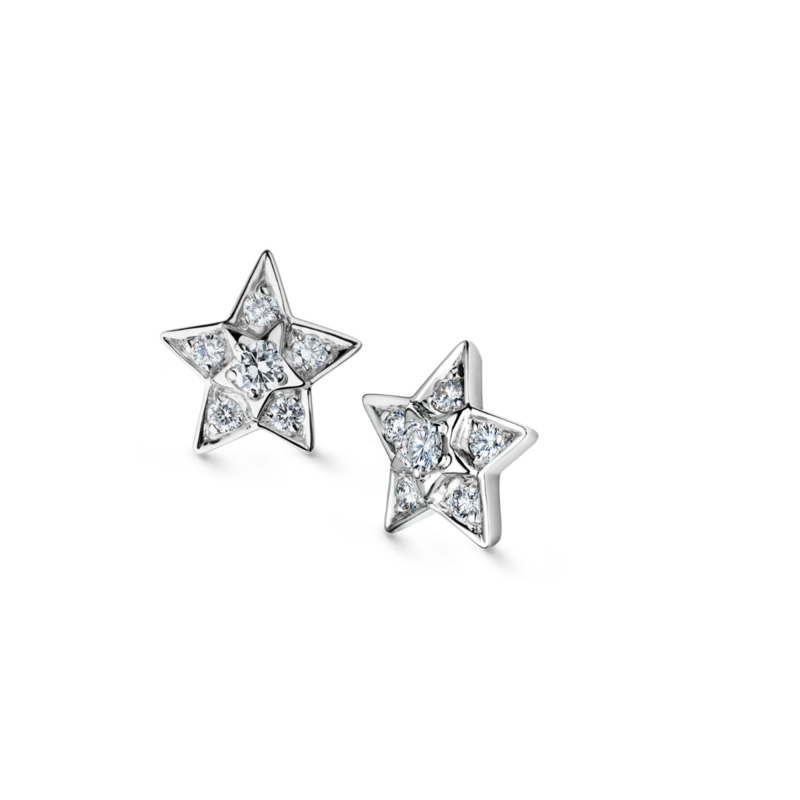 Embed from Getty ImagesAnd her Chanel ‘Comete’diamond earrings finished her look of the day.